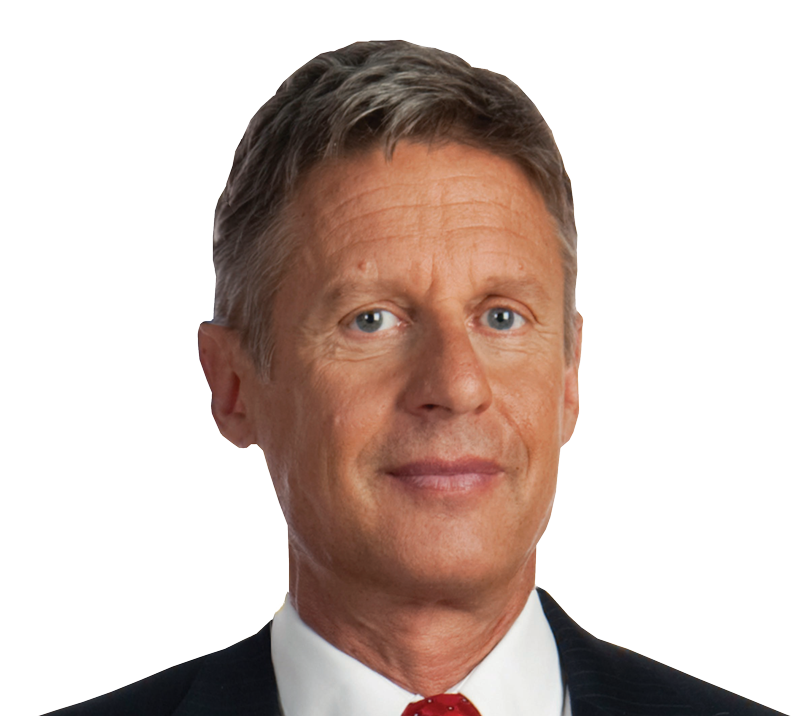 Former New Mexico Governor Gary Johnson is the former Republican Governor of New Mexico. In 2012 he was the Libertarian candidate for President of the United States. The Freedom And Liberty PAC hopes he will again run in 2016. Kelly Casaday has been a campaign advisor to Governor Johnson and traveled with him around the country and helped organize his media outreach. He joined by others with significant experience in the national political arena who plan to devote their efforts to getting Gary Johnson elected through the Freedom And Liberty PAC. It is anticipated that initial messaging will focus on economic issues and Governor Johnson’s successes in New Mexico and comparing Governor Johnson to other Republican candidates for President. During his two terms as governor, Gary Johnson vetoed more than 800 spending and regulatory bills passed by the Democratic Party controlled legislature. These vetoes resulted in billions of dollars in savings and brought many new businesses into the state. His vetoes are more than those of the other 49 state governors combined. Gary Johnson doesn’t just talk a good game – he has a demonstrated track record of cutting waste, government spending and needless regulation. Based on funding, the Freedom and Liberty PAC will focus on increasing the visibility of Gary Johnson through producing and placing television and radio advertisements, web-based advertisements, direct mail and other means. The PAC is prohibited from coordinating activities with the campaign. Federal law limits contributions to campaigns to a maximum of $2500 per individual and $5000 per political action committee (PAC). Corporations are prohibited from making any contribution to a candidate for federal office. The Federal Election Commission (FEC) enforces these rules. US courts ruled that individuals and corporations do have a Constitutional right to make unlimited expenditures to influence elections. The Federal Election Committee has implemented that ruling by allowing the formation of “Super PACs.” These organizations can accept unlimited funds from unlimited sources and use that money to directly influence elections. They are prohibited from making contributions directly to a candidate campaign or from coordinating campaign activities with a candidate committee. EXAMPLE OF PROHIBITED ACTIVITY: Neither a candidate nor his/her campaign can ask a “Super PAC” to run ads focusing on a specific issue, in a specific location, at a specific time. EXAMPLE OF ALLOWED ACTIVITY: A “Super PAC” may run TV spots it has produced in an area of its choosing encouraging people to vote for a candidate. 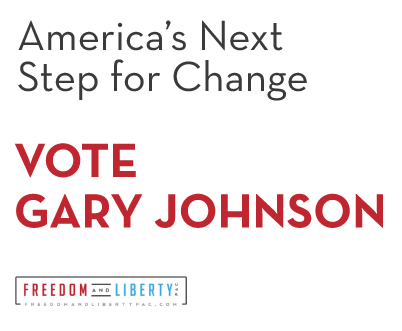 Freedom and Liberty PAC is organized to encourage people to vote for Gary Johnson for President of the United States. An individual or corporation can make contributions to Freedom and Liberty PAC without any limit. These funds can be spent to influence the election without limit. Freedom and Liberty PAC will independently research, concept and produce campaign materials and advertising supporting the election of Gary Johnson. These materials may include television and radio commercials, website and web advertising, direct mail, brochures, etc. Individual donors and corporate donors are subject to all disclosure requirements mandated by the Federal Election Commission. Donations can be made by check, wire transfer, or credit card. Anonymous donations are not allowed. Contributions from non-American citizens will not be accepted by Freedom and Liberty PAC. We encourage you to encourage Gary Johnson to again run for President of the United States and support his campaign with a generous financial contribution. The Federal Election Commission limits contributions to $2,500 per person. We also encourage you to get involved with the campaign’s grassroots efforts. We also encourage you to contribute $100,000 to the Freedom and Liberty PAC. Your contribution will help spread Gary’s message of smaller government, more individual freedom and responsibility and greatly reduced government spending to a national audience. Simply put, $100,000 can provide much, much, much greater visibility than $2,500. Wire instructions are available upon request. We hope to raise Gary’s profile to allow him to participate fully in future debates and increase the likelihood of a successful campaign. Please send your contribution today because every day is important as we approach the early caucuses and primary elections. For additional information please contact Kelly Casaday, 801.983.9266 or kelly@letter23.com. Paid for by the Freedom and Liberty PAC, not paid for nor authorized by any candidate or candidates committee.